When the doctor will tell you to start feeding your baby with vegetables, fruits and other home prepared meals, you’ll be in doubt what kind of food is the best for your baby, which ingredients make the best combination together, when to start giving your baby meats, how to be aware of allergens and gas-inducing foods and many more questions. Well, we are here to help you choose the baby meals and to answer your questions. The best way to start feeding your 3 month old baby with different foods is to begin giving him various vegetable purees. 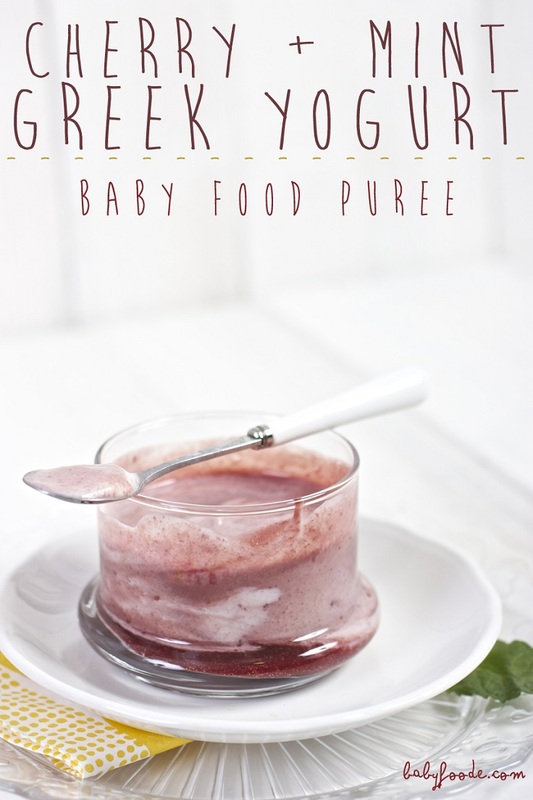 After 3 months, when the baby is between 6 and 9 months, start adding various fruits, rice cereals and Greek yogurt. When your baby will be older than 8 months, step by step, you can start giving him good quality and well prepared chicken and turkey meats. 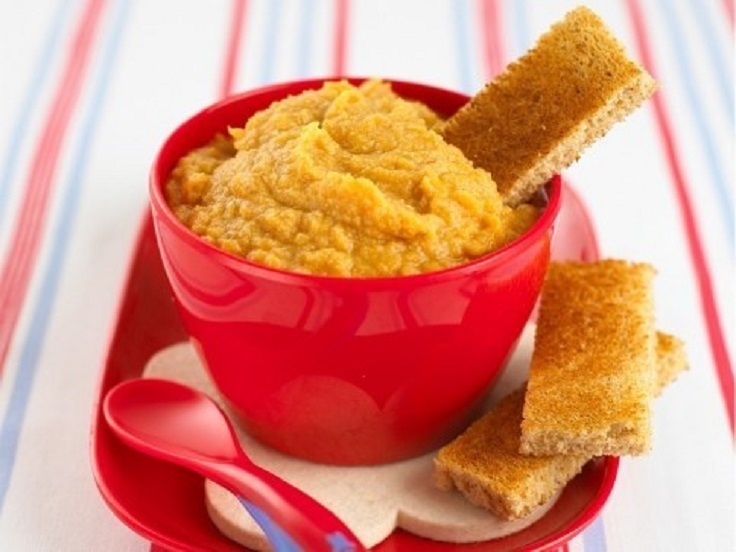 Below you will find the best 10 baby food recipes for different age. They are all full of healthy ingredients. And all of them require only few minutes preparing. The sweet potatoes are so healthy and full of different vitamins (vitamin A, vitamin C, vitamin B6, vitamin B3) and various minerals. Your baby for sure gonna like this mash because its sweet taste. Brown rice cereals are perfect baby meal. The brown rice is full of vitamins and minerals. And that’s what your baby needs. You can serve it as is, or with some additions as mashed rice, almond milk, mashed banana. 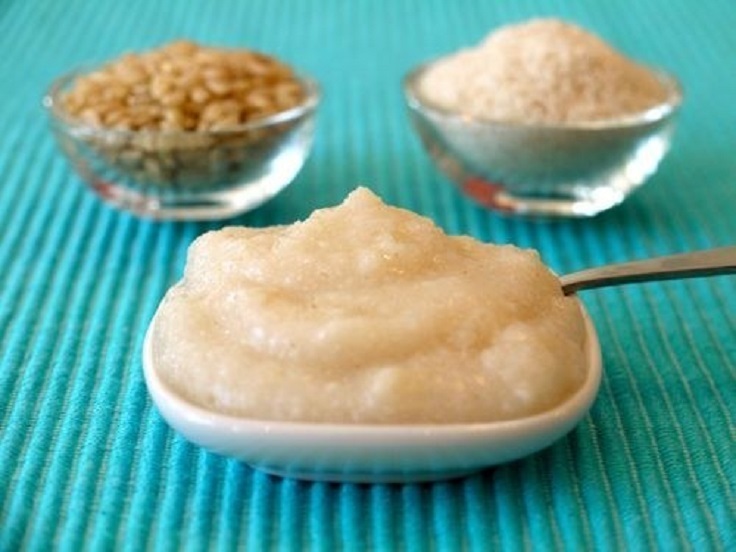 This recipe is recommended for 6 months and up babies, because of the mix of the ingredients. We hope your baby gonna like this one, because it’s very healthy. It’s time to try the fruits. This one is also for older babies (8 months and up) because has stronger taste. The mix of kiwi, pear and raisin is vitamin bomb baby meal. 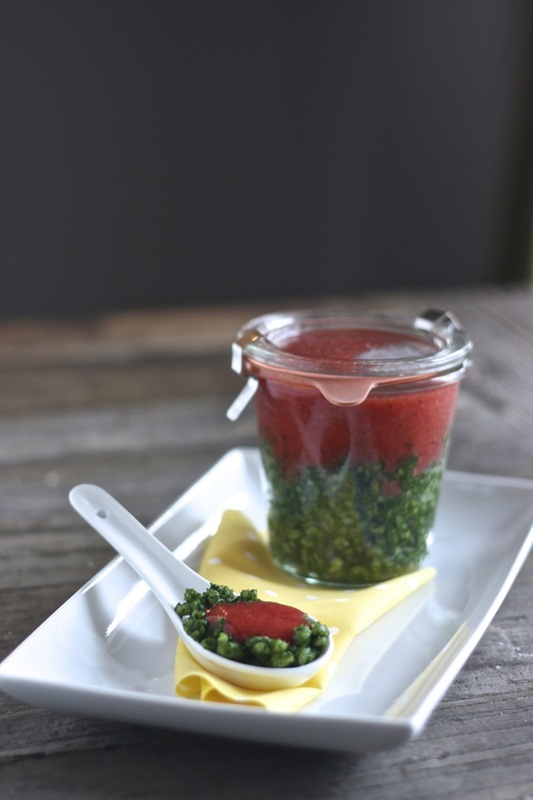 For making raw baby purées, try to pick ripe fruit that can be easily mashed down. 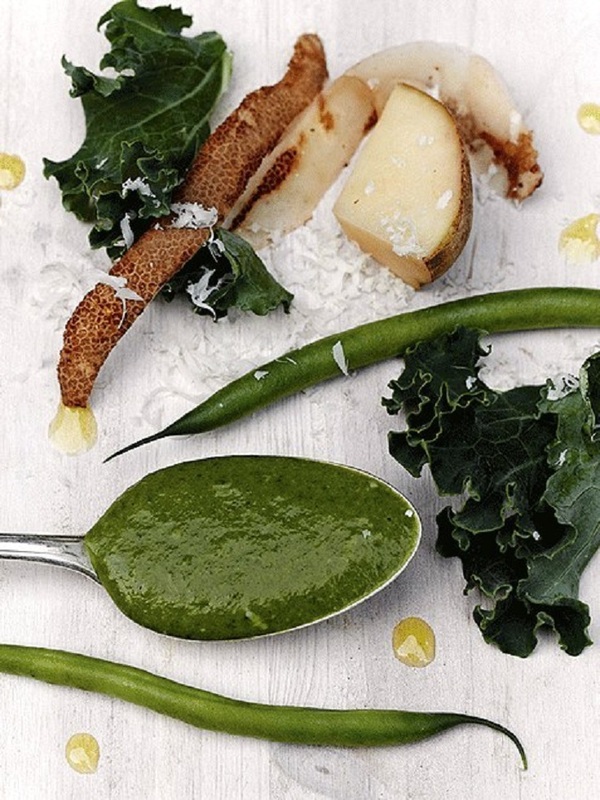 Than you just need to chop, peal and smash and you’ll get a wonderful healthy meal for your baby. If your baby is older than 6 months, it’s time to start giving him meat, step by step. Start with some vegetable-chicken mesh. 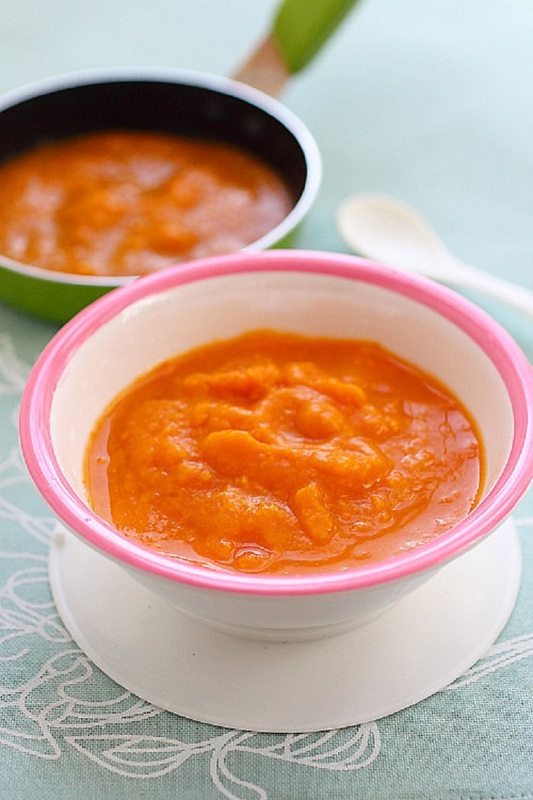 This chicken with carrots and apple puree is a great choice. One more idea how to start feeding your baby with meat. 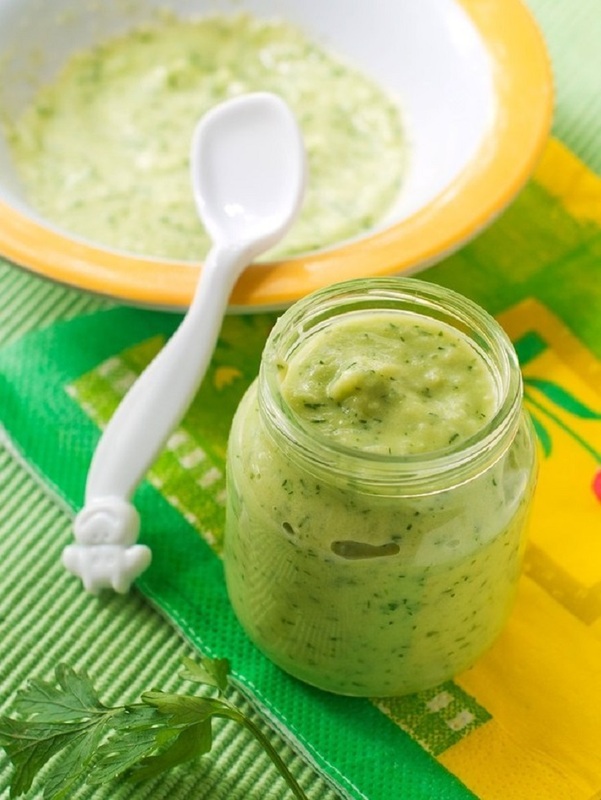 Beside the previous one with the chicken, try also to make this zucchini, potato and turkey puree. This could be breakfast meal or could be served as a dessert. 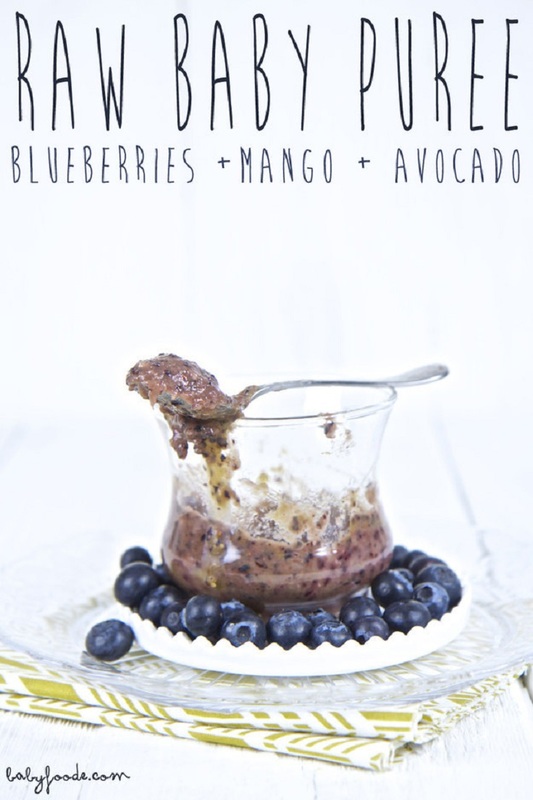 Thanks to the Greek yogurt, with this mash your baby will bring in the body the daily needed dairy ingredients. We have all heard about the spinach and strawberry salad. If you have tried it you know how delicious it is. So make one for your baby too. The chives and barley are optional, but they give a special taste. 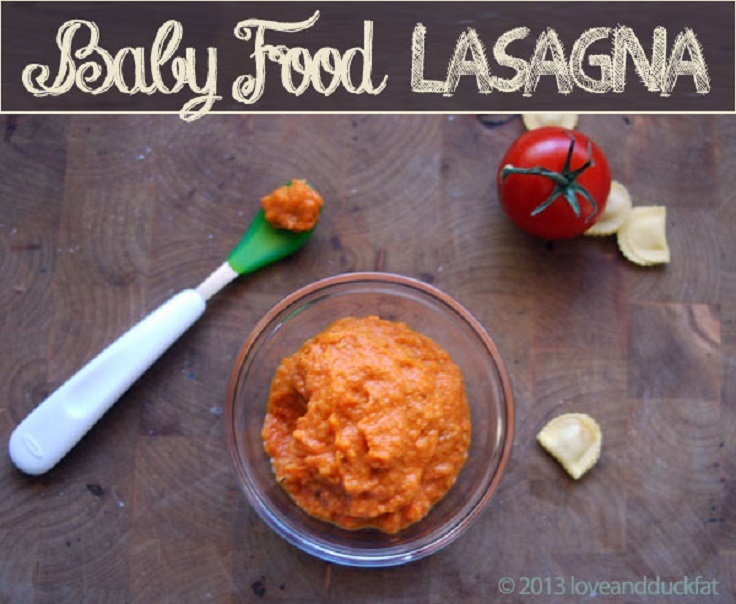 It’s time to reward your baby with some succulent food. If your sweetheart is older than 8 months, it’s time to give him at least once a week some food with stronger taste that contains onions, garlic and cheese. Thanks, fabulous recipes! I believe you can’t add almond milk to baby food.